On December 1st, 1930, Terence Edward Parsons started life in London. As a young man, he worked in factories, at building sites, and drove buses and trucks, but his real talent was for singing. That talent started getting recognized during the time he drove a London bus and became known as the singing bus driver. In fact, the young singer would sometimes take the stage at a local nightspot fresh from work with the London Transport Company, and still in his transport company uniform. Then, at the age of 26, he got his first big break, becoming a featured vocalist with the BBC Show Band. After using names including Terry Parson, Terry Fitzgerald and Al Jordan, he came under the guidance of a pianist and mentor who gave him the name that he stayed with from then on, Matt Monro. Matt Monro had some minor success in the mid 50’s but it wasn’t until 1960 that his singing career shifted into high gear, around the time he became associated with the Beatles’ producer George Martin. One of Matt’s first hits was My Kind of Girl, which won him a British song contest. A follow-up hit was Softly As I Leave You, also associated with Frank Sinatra. And soon after, Matt recorded the title song heard in the James Bond film From Russia With Love. One of his best known songs was Walk Away, which was originally an Austrian song that got English lyrics by Monro’s manager Don Black. Matt also recorded cover versions of several Beatle songs. Over the years, Matt Monro sold more than 100 million records in a career that spanned 30 years and brought many comparisons to Frank Sinatra. 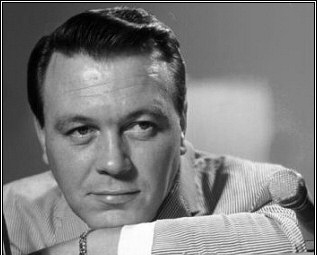 Unfortunately, Matt Monro’s career was cut short when he passed away in 1985 at age 55. 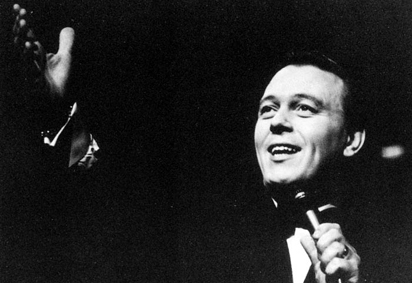 Today, Matt’s son Matt Monro Jr. carries on his dad’s tradition as a fine vocalist. Matt Monro’s life and body of work is the focus of MattMonro.org.uk, run by Matt’s daughter Michele, who has also written a book on her dad called The Singer’s Singer: The Life and Music of Matt Monro. Many Matt Monro videos are available at YouTube. And tributes to Matt’s fellow crooners Frank Sinatra, Dean Martin and Sammy Davis Jr. are displayed at the home of a popular Frank Sinatra Impersonator.